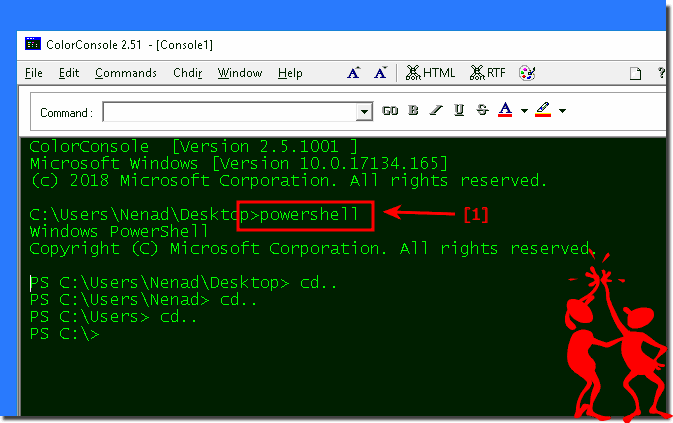 From version 2.6x it is very easy to execute the MS PowerShell commands in ColorConsole! Please always use ►► ... the latest version of ColorConsole for Windows! ColorConsole - FAQ-5: Can I run PowerShell commands in ColorConsole?